In 1986 Joanna founded Ascension Mastery International (AMI), teaching that we are able to transcend any limitation and rise to full mastery. Her teaching comes direct from her own inner guidance and experience. Developing a clear connection with one痴 higher self; discovering and fulfilling life痴 purposes; love and happiness in relationships; health and healing; prosperity; ascension; immortality; rejuvenation; and many other subjects are encompassed in her teaching.The new weekend workshop Ascension and Immortality, her first in nearly 15 years, is now being offered. See the Workshops page. 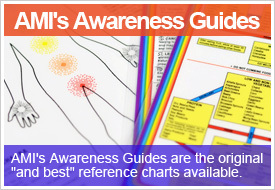 She has also developed a three-level training, Living Mastery; the outline can be viewed on the same page.Through AMI Joanna offers sacred images of masters and ascended masters, angels and deities probably the world's largest, most beautiful and diverse collection溶ow in homes and stores around the world. She lives and works in Mt. Shasta, California.